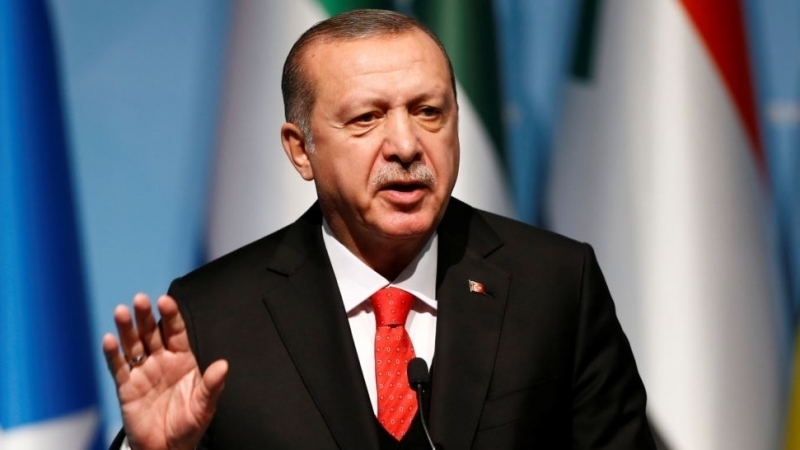 Turkish President Recep Tayyip Erdoğan promised to help Ukraine in freeing hostages and political prisoners in Russia. The Minister of Foreign Affairs of Ukraine Pavlo Klimkin made a corresponding statement on the air of "Channel 5" on June 18. “This was very important for Ilmi Umerov and for Akhtem Chyigoz. We talked about this for a long time. It was very difficult. I think that Erdogan himself would tell about this, perhaps after the elections, but it is better to work on a new stage of release,” the minister said. According to him, Erdogan promised that he would "assist". It is worth noting that the President of Turkey played a key role in the release of Deputy Heads of the Mejlis of the Crimean Tatar people Ilmi Umerov and Akhtem Chiygoz in the autumn of last year after talks with Russian President Vladimir Putin. Earlier it was reported that the President of Ukraine Petro Poroshenko during his visit to Turkey, called on Erdogan to help in the release of Ukrainian hostages. Erdogan said that in June 24, extraordinary presidential and parliamentary elections will be held in Turkey. This statement was announced at the end of the meeting of the President with the leader of the Nationalist Movement Party Devlet Bahçeli. Previously, Devlet Bahceli called for early presidential and parliamentary elections in the country on August 26. The leader of the Turkish nationalists said that on the anniversary of victory in the battle of Malazgirt, the Turkish people "can choose both the president and the MPs, thus teaching a well-deserved lesson to the enemies of Turkey."